California and Maine are not alone. As the revenue from gasoline taxes decreases with the rise of fuel-efficient vehicles, many states are looking for alternative sources of money to build and maintain their roads, bridges and other infrastructure. Some states, notably Oregon, are experimenting with a “road use” levy, charging taxes based on how many miles are driven in the state, rather than the fuel used. And a growing number of states are putting tolls on roads, as another way to raise revenue for infrastructure construction and repair. The scramble for new road revenue is just one way state governments are seeking to reformulate their tax codes, which, like the federal one, have not been overhauled in decades and no longer match the behavior of consumers. They’re looking, for example, at how to replace the sales taxes that used to be applied in bricks-and-mortar stores, now that people do so much of their shopping online. They’re starting to tax ride-hailing services like Uber and Lyft, which often pay little of the license fees or taxes that taxi businesses hand over to cities, counties and states. And because most road repair and construction is financed by taxes on the amount of fuel sold — and the increasing use of fuel-efficient hybrid and electric cars means states are taking in less money — states are looking for new sources of revenue. A backlog of state transportation infrastructure needs that tops $3 trillion is only adding to the pressure. The federal gas tax of 18.4 cents a gallon hasn’t been increased since 1993, and thanks to inflation, it buys nearly 40 percent less than it did then, while construction costs have continued to rise. Many states also resisted gas tax increases, but some, including California and Tennessee, have recently relented and hiked the levies. Many states are starting to index their gas taxes to keep up with inflation. And increasingly, they are imposing fees on new fuel-efficient vehicles. As of April 2017, 10 states imposed an additional registration fee on electric or hybrid vehicles, ranging from $50 to $200 annually, according to the National Conference of State Legislatures (NCSL). They include Colorado, Georgia (which charges $200, more than any other state), Idaho, Michigan, Missouri, Nebraska, North Carolina, Virginia, Washington and Wyoming. This year, some 27 states have considered increasing fees on electric, hybrid and other vehicles powered by alternative fuels such as liquefied natural gas, an uptick from past years, said NCSL’s Kevin Pula. They include Alabama, Arizona, Hawaii, Illinois, Indiana, Kansas, Kentucky, Maine and Massachusetts, as well as California and Tennessee, where laws were enacted in April. Under the Obama administration, Corporate Average Fuel Efficiency standards were increased, requiring automakers to build fleets that average 54.5 miles per gallon by 2025. President Donald Trump has threatened to reduce those standards, but manufacturers are consistently producing vehicles with higher mileage ratings, and Pula warned that could mean bigger hits for states that rely on a traditional gas tax. “If we do get to 54.5 miles per gallon, that’s going to be a much more significant hit than we have seen over the past several years,” Pula said. About 2 percent (384,404) of all the vehicles sold in the U.S. in 2015 were hybrids and 0.7 percent (71,044) were fully electric, according to the U.S. Department of Energy. The numbers are higher in environmentally conscious California, where 4.7 percent of the 2 million cars sold in 2016 were hybrids and 1.9 percent of them were electric. But even there, the new fee on electric cars is expected to bring in just $200 million over the next decade. By comparison, the 12-cent-a-gallon increase in the gasoline tax will generate $24.4 billion and a “transportation improvement fee” assessed on a sliding scale on all vehicles (based on their cost) will bring in about $16.3 billion. Pula said revenue from the new fees will go up as electric and hybrid vehicles become more popular. In any case, he said, since drivers of such cars are paying less in gasoline taxes, it makes sense for them to finance roads and bridges through another mechanism. But some environmentalists say the relatively paltry amount of revenue generated by the fees isn’t worth creating a disincentive for people to buy fuel-efficient, lower-emitting vehicles. “There are so few EVs [electric vehicles] on the roads compared to gasoline and diesel vehicles that these fees won’t raise any significant money for infrastructure,” Michael Graham Richard wrote in TreeHugger, a website that covers environmental issues. The federal government and some states provide tax incentives to people who purchase alternative-fuel or hybrid vehicles. But some, such as Georgia, eliminated them when they began levying fees. At one time, about half the states offered tax incentives to electric and hybrid car buyers, but now only 16 do. Many states recognize that for now, levying fees on electric and hybrid vehicles isn’t enough. So, some are pairing such proposals with increases in the gas tax. In South Carolina, both the House and Senate have passed gas-tax, hybrid-fee bills by veto-proof majorities. Both bills include a $120 two-year fee for electric vehicles and a $60 two-year fee for hybrids. The House measure hikes the gas tax by 10 cents a gallon over the current 17 cents a gallon, while the Senate bill would increase it by 12 cents. Lawmakers are working to hammer out a compromise. Gov. Henry McMaster, a Republican, has acknowledged that the road situation in the state has “gone from important to critical to urgent.” He has threatened to veto the bills, calling instead for the state to increase bonding (borrowing) authority to pay for road maintenance. Bill Ross, executive director of the South Carolina Alliance to Fix Our Roads, a construction industry group, said alternative-fueled vehicles need to be included in any plan to fix highways. He estimated that even with the gas tax hike and the new fees, only about $400 million more would be raised every year, with either the House or Senate bill. He estimates that the state needs $1 billion annually for road construction and repair. The South Carolina bills also would index the gas tax to inflation, with a cap to ensure that the state doesn’t increase it too much higher than neighboring states. North Carolina’s gas tax is currently 35 cents a gallon; Georgia’s is 31 cents a gallon. Maine used to index its gas tax to inflation, but that was repealed in an anti-tax wave in 2012. Now, bills in the Legislature would not only hike the gas tax and once again tie it to inflation, but also impose new fees on hybrids and electric cars. The Maine Department of Transportation projects that under the current revenue scheme, with the gas tax at 30 cents a gallon, the state is falling $68 million short every year on money needed for critical transportation projects. 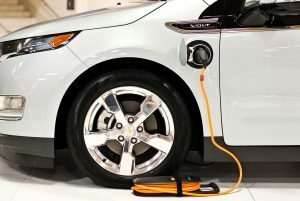 A bill introduced by the chairman of the joint transportation committee, McLean, a Democrat, would raise the gas tax by 7 cents a gallon and impose a $200 surcharge on annual registration of hybrid, all-electric and hydrogen fuel-cell vehicles. His proposal also would hike some current fees charged by the motor vehicle department, and allocate 10 percent of the sales tax on vehicles to the highway trust fund. McLean said while the hybrid vehicles aren’t a large part of the problem, they must pay their fair share. He puts the transportation budget shortfall at $168 million if an annual $100 million bond is included. “It’s a large assumption that there’s going to be a $100 million bond every year,” he said.